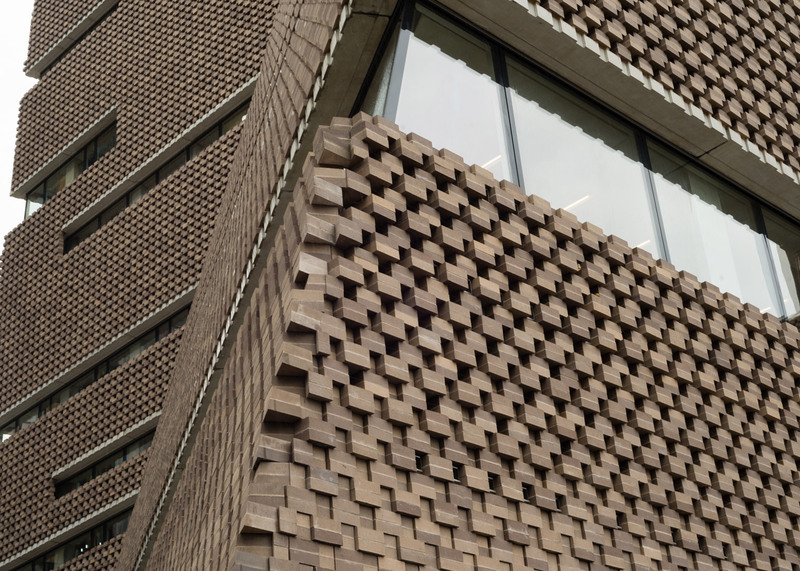 I know I'm Late to the party, and I didn't take my camera, but I went to the Tate Modern for the first time since it's Herzog and de Meuron's Switch House extension. I like it from the outside, the brick reflecting the functional aesthetic of the Gilbert Scott's original power station while its quirky 'twist' keeps it contemporary, but the inside is absolutely fantastic. I've not seen concrete deployed so beautifully since the original Southbank centre buildings. I love how they've largely kept the original Tanks on floor zero untouched, dark and spooky perfect for the video displays they are used for, including a short flight of ghost steps that now start halfway up the space and lead straight into the brick wall. The smooth and mainly circinate raw concrete stairwells of the new building proper are stunningly beautiful. Don't be lazy and take the lift and less you have too. They also provide the drama on your quest to reach the infamous viewing gallery - a quest that reminded me of the journey through the levels of the Guggenheim in Matthew Barney's The Cremaster Cycle 3. Once you reach the peak you have a fantastic view of London and are free to make obscene gestures at the tax cheats in the luxury flats opposites, those that are occupied anyway. The actual galleries are white space functional, they do not try and re-invent the wheel, and are as good the work displayed. New Funky Cosmic-Disco track out now on Swedish Brandy Productions artists' 4 track 12" vinyl e.p along with tracks by Soultechnic, Harry Light & Limyth.